← ORCHARD ROAD – New Buildings. Old Substance. 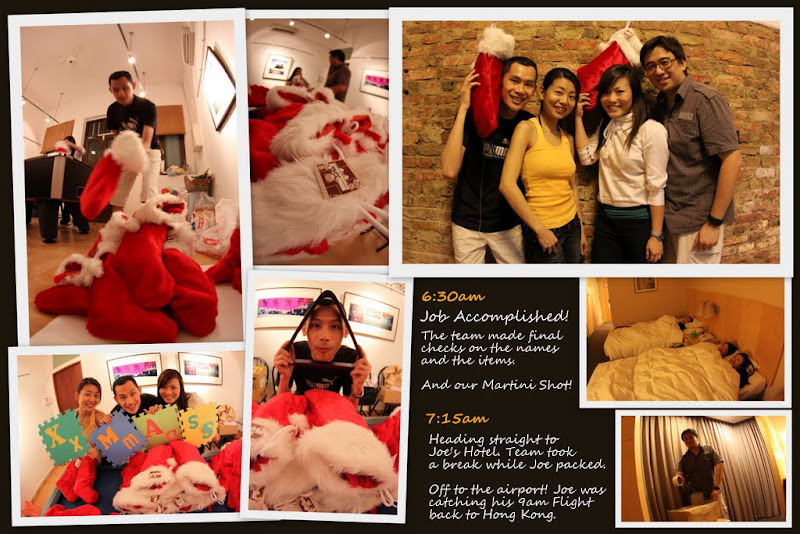 THANKS TO MEIJIE AND JOANNE – they revived the good old Christmas Spirit of Giving and brought our "nearly dead" ProX back to life! Same here in Hong Kong, I am trying to replicate the goodwill to my company and client. So far, it has been very encouraging. The Hong Kong ProX will be activated sometime end Jan 2010. For those who are new to "Project X" (ProX) – it was a charity movement started back in 1993 by the Wahbiang Clan. We realised that many people spent good money on food and gifts during festive seasons. Instead of "wasting hundred of good dollars" on turkey and log-cakes, we decide to spend Christmas meaningfully. We save these good money on gifts for the needy. For many years, 24th Dec was the night when the clan delivered gifts and money to the old folks. Such activities bring the group together – We work together to create something so meaningful and joyful. Most important, Christmas is more than just a celebration of friendship and gift-exchanges. It is also the season of Giving. 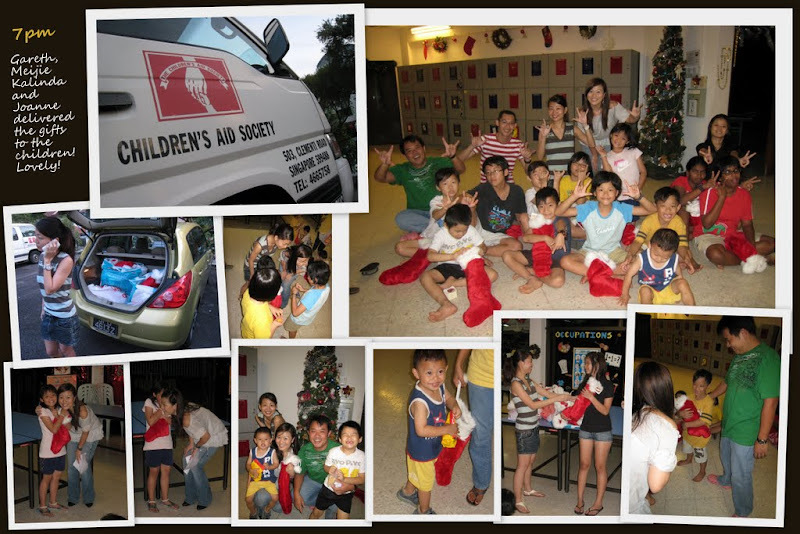 This year, Joanne, Meijie and Caffeine raised fund for the Singapore Children Aid Society. Within a short period of 1 week. they put everything together. 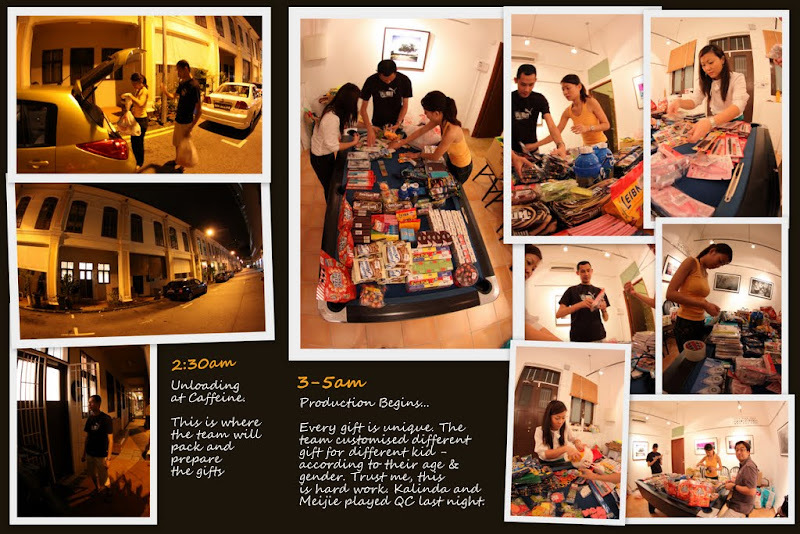 And late last night (24th Dec), 5 representatives (Joanne, Meijie, Kalinda, Gareth and me) from Wahbiang and Caffeine worked through the wee hours to pack all the gifts. Overnight at Caffeine Studio, we worked till 6am this morning! (And later at 8am, they sent me off at the airport!) 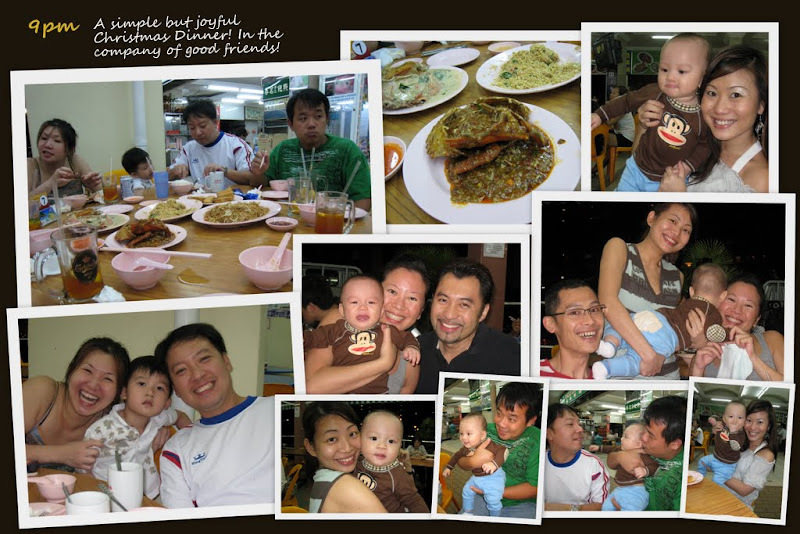 These were the finest and most meaningful moments of my Singapore trip. Enjoy the photos of "ProX"! And we hope to inspire all of you to do the same with your group of friends! And a big thank to those who donated generously in our ProX! Merry Xmas!